Frequently I get asked for advice on steam showers, and when I do, I always reference the steam shower at my gym. I've been going to the same gym for more than ten years. 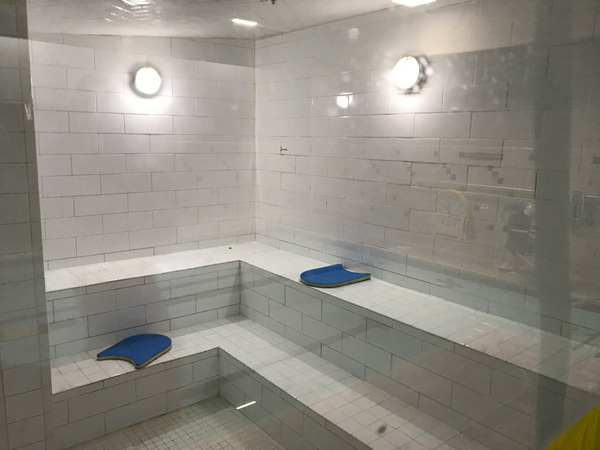 Recently it sold from one national chain to another, and at that time, the new owners remodeled the locker rooms, pool and they even attempted to give the steam shower an update. The 4x4 white wall tile was overlaid by new 4x16 white wall tile (and just look at all that beautiful lippage). Every fall I enjoy watching the leaves change color, the temperatures drop and floor warming sales increase. I feel bad for those who pass up this luxury when designing in August because for me, while some obsess over pumpkin flavored everything, I'm excited to flip the switch and heat my bathroom floor to a cozy 85 degrees. So in my continuous effort to spread the word, here is what you need to know about heated tile. Manufactured shower pans are steadily taking over what used to be exclusively a sand and cement market. Floating a sand and cement shower pan is not an easy task. It's been compared to a sculptor working with clay. In this case, a manufactured shower system is more like building with blocks. 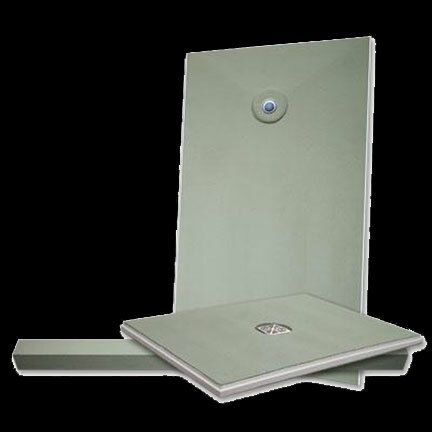 Laticrete's Hydro Ban Shower Pan makes installation faster and easier than ever.